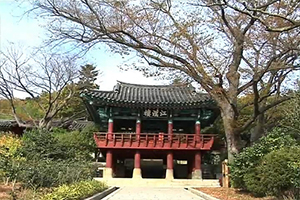 This is a shrine built to honor Admiral Yi Sun-sin, who achieved his greatest victories as commander-in-chief of naval forces during the Japanese invasion of Korea in 1592. 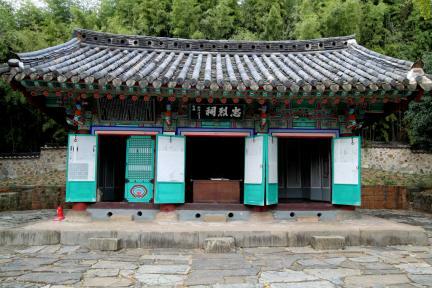 Since it was in the Tongyeong area, including Hansando Island, where the late admiral had operated, the same memorial tablet as one at Chungnyeolsa in Namhae was kept here to perform a memorial sacrifice for him. 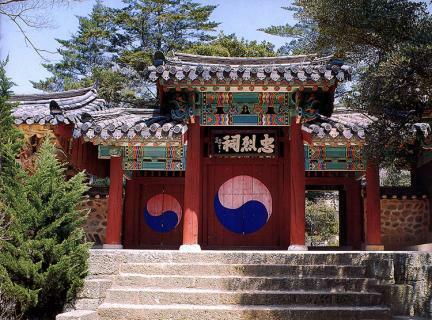 The shrine was built on the order of King Seonjo in 1606, the 39th year of his reign, and was presented with the same tablet, composed and granted by the king himself, as the one granted to Namhae. Since then every year in spring and fall, a sacrifice has been performed by succeeding commanders-in-chief of naval forces to honor the admiral’s achievements. In the shrine compound there are the main hall, the main and middle gates, a study room, and an auditorium. 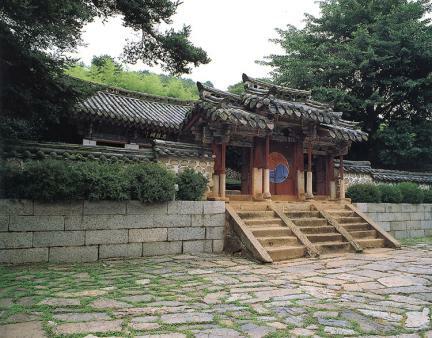 Many monuments are preserved in the compound, the oldest one being the tombstone of Yi Sun-sin erected in the 7th year of the reign of King Sukjong (1681). 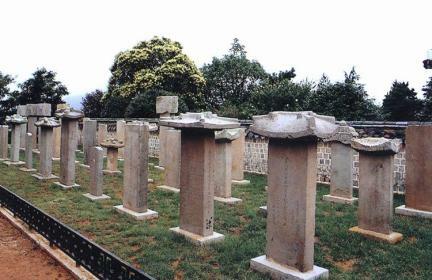 In the back yard of the shrine there are 29 monuments for succeeding commanders-in-chief of naval forces. 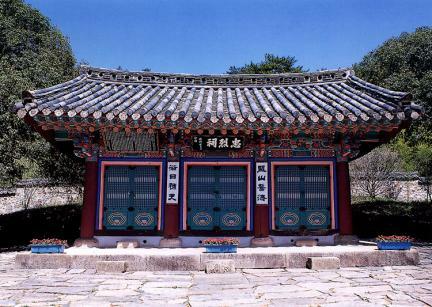 Also kept here are eight gifts presented by the Ming Emperor, and a letter written by King Jeongjo.